LeViness, Tolzman & Hamilton, P.A. was formed by local Baltimore attorneys dedicated to achieving justice for injured patients in our community. 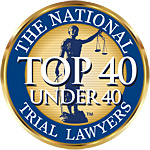 We have a reputation in the Maryland legal community for our determination to secure maximum compensation for our clients. Since beginning our practice in the 1980s, our firm has helped injury victims recover more than $100 million from negligent people and corporations. Our attorneys and staff give you the personal attention you deserve and the competent representation you need after you sustain an injury because of a surgical mistake. Duty — The surgical team and hospital that performed your operation had a duty to provide you with the standard of care expected in the medical industry. Breach of duty — Your surgical team or hospital breached this duty by failing to act in a manner consistent with the accepted standard of care. Injury — You suffered an injury because of the surgical error. Proximate cause — The medical malpractice directly caused your injuries and resulting damages. The benchmark for a healthcare practitioner’s duty is the accepted standard of care of a similarly situated medical professional or entity. For example, if another neurosurgeon likely would have taken certain crucial precautions to prevent nerve injury during your back surgery, you may have a valid claim against your own surgical team for the paraplegia resulting from your operation. Maryland statutes impose a deadline for filing your claim of medical malpractice. If the statute of limitations expires before you initiate your lawsuit, you are barred from pursuing compensation from those who injured you. In addition, Maryland also requires plaintiffs to file a certificate of expert consultation within 90 days of filing a lawsuit, so it is best not to wait until the final hour to retain legal representation. In most cases, you must sue within five years from the date the surgical mistake occurred or three years from the date you discovered it, whichever comes first. The statute is tolled for injured minors until they reach their 11th birthday. However, if the injury was to your minor child’s reproductive system or involved a foreign object mistakenly left inside the body, the statute does not begin to run until your child turns 16 years old. To recover compensation from surgeons and hospitals, call our experienced team of Baltimore medical malpractice lawyers at LeViness, Tolzman & Hamilton by calling 800-547-4LAW (4529) or contact our firm online. Your initial consultation is free. Our lawyers represent clients on a contingency-fee basis and are available by phone 24 hours a day to assist you with your surgical malpractice claim.